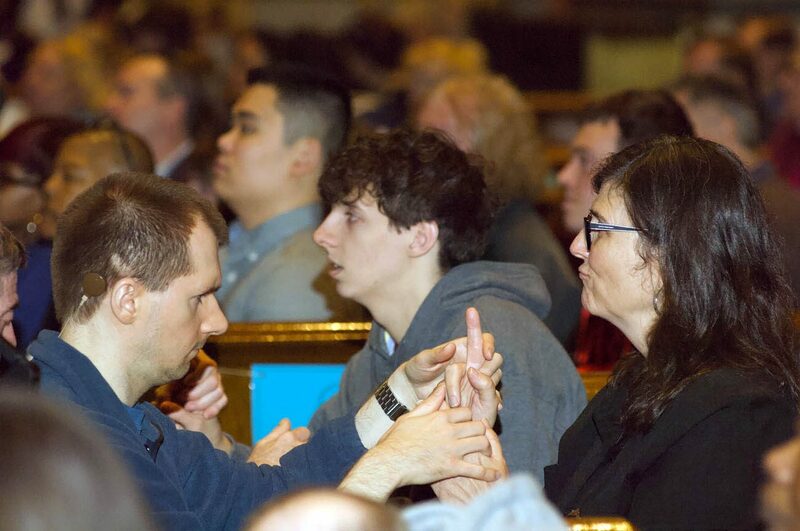 Continuing a tradition tracing back more than two decades, the annual Mass honoring Persons with Disabilities, the Deaf Community, Family, Friends and Caregivers was celebrated Saturday, March 30 at the Cathedral Basilica of SS. Peter and Paul, with Father Dennis Gill, the Cathedral Rector, as the principal celebrant. 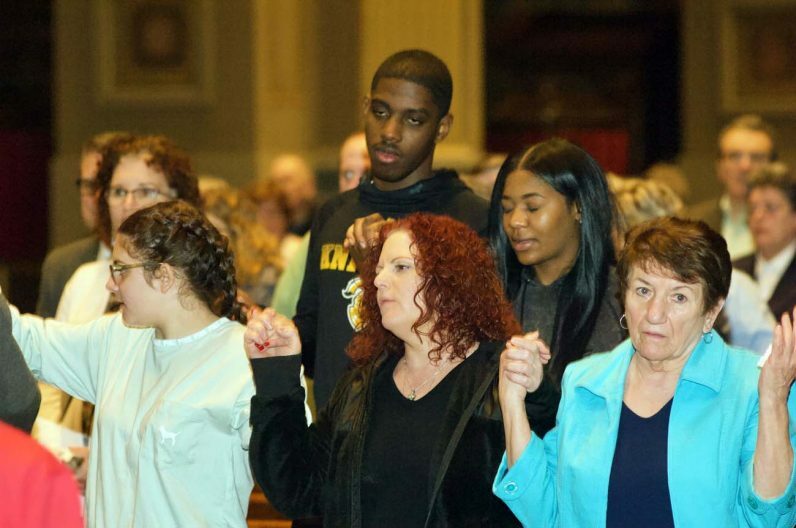 As always it was easily one of the year’s liveliest Masses on the Cathedral calendar with hundreds of persons, children and adults with physical or mental disabilities — many coming by buses — along with staff and families in attendance. What makes the Mass possible is the army of volunteers who come to assist the special guests. This included students from John W. Hallahan and Roman Catholic High Schools and Neumann University. Also lively musical accompaniment was provided by the Praise and Gospel Choir from St. Raymond of Penafort Parish, Philadelphia. “It’s a great witness for the church and a joyful celebration in the middle of the Lenten season,” said Father Dennis Weber, director of Mission Identity and Integration for the Developmental Programs Division of Catholic Human Services, who took note of the large number of persons with disabilities in attendance this year. Among the schools with young people with disabilities participating were Divine Providence Village, Don Guanella Homes, St. Edmond’s Home for Children, St. Lucy Day School for Children with Visual Impairments, Archbishop Ryan School for the Deaf, Our Lady of Confidence Day School and St. Katherine Day School just to mention a few. Altar servers were provided by Don Guanella Homes and Divine Providence Village. Refreshments followed at the Archdiocesan Pastoral Center.